Anna Campbell has a very special place in our hearts here at The Romance Dish. A regular contributor for many years, Anna continues to visit and always has a place "at the table" waiting for her here at the blog. Whether she's celebrating a new book or taking us along on her travel adventures, it's always a pleasure to host her. 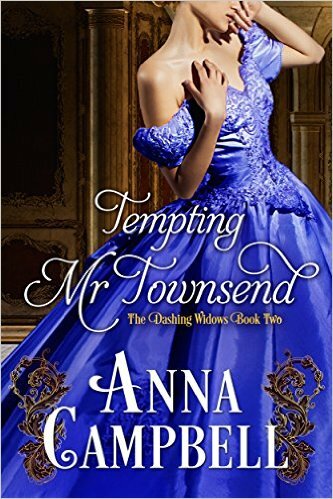 Here's a look back at one of Anna's blog posts from February 26, 2016 when she stopped by to celebrate the second book in her popular Dashing Widows series, Tempting Mr. Townsend. The six Regency novellas in the Dashing Widows series are currently available in a special Kindle boxed set for only $3.99. Anna is back! I'm delighted to welcome Anna Campbell back to the Dish today. She always brightens up the place, don't you think? Please join me in giving Anna a very hearty welcome home! Tempting Mr. Townsend (Dashing Widows Book 2). I really think that lovely blue cover goes beautifully with the décor here! I love even better the gradual growth of understanding, until the opposites realize they have more in common than they ever thought – and even if they don’t, the other person is so wonderful, they can live with the differences. Always an aww moment for me in a romance. I love that attraction of opposites stories always end up with the hero and heroine learning that they’re not exactly who they think they are. Self-discovery makes for a wonderful character arc in a story. When I think of the AoO trope, I think of films like Pretty Woman where cold-blooded corporate raider Richard Gere learns about the joy of life from vivacious streetwalker Julia Roberts, and she learns that she’s more than she ever dreamed she was. Or When Harry Met Sally where freewheeling Harry discovers that he needs love after all, and uptight Sally discovers that letting go can have its own rewards. Tempting Mr. Townsend is my most overtly AoO story so far and I had huge fun with it. If you read book 1 in the series, last year’s The Seduction of Lord Stone, you’ll remember Fenella Deerham as one of those perfect lady heroines. She’s blonde, pretty, kind-hearted, and has perfect manners. She’s spent the last five years grieving the loss of her beloved husband Henry at Waterloo – of my three dashing widows, she’s the one who had a happy marriage and who is afraid to rejoin the world because she can’t bear to face losing love again. So who would be the person most likely to shake up her certainties and drag her back into the hurly-burly of life? What about a brusque, humbly born, self-made magnate who has no experience of ladies, and frankly no interest in them either? Falling in love with your heroes is an occupational hazard in this game—if you don’t love your hero, it’s highly unlikely your heroine will. But I must say I developed a monster crush on outspoken bear of a man, Anthony Townsend, with his northern accent, his generous spirit, and his habit of cutting straight to the heart of the matter. So what could bring these two unlikely people together? When Anthony’s ward Carey and Fenella’s son Brandon run away from Eton, Anthony and Fenella join in a desperate alliance to find the boys. The stage is set for a road trip where both will discover first impressions can be mighty misleading. Anthony’s rough manners hide a heart the size of Texas, and Fenella’s air of untouched fragility doesn’t do justice to her enormous strength of character. The sparks fly hotter by the minute as they gallop through the frosty night to Anthony’s estate where the boys are waiting safe and sound—but now temptation lurks around every corner. I hope you will check out my story about two unlikely lovers and enjoy seeing these opposites come together to find their blissfully happy ending. And watch out for Winning Lord West, Helena’s story which is out at the end of April. Fenella, Lady Deerham, has rejoined society after five years of mourning her beloved husband’s death at Waterloo. Now she’s fêted as a diamond of the first water and London’s perfect lady. But beneath her exquisite exterior, this delicate blond beauty conceals depths of courage and passion nobody has ever suspected. When her son and his school friend go missing, she vows to find them whatever it takes. Including setting off alone in the middle of the night with high-handed bear of a man, Anthony Townsend. Will this tumultuous journey end in more tragedy? Or will the impetuous quest astonish this dashing widow with a breathtaking new love, and life with the last man she ever imagined? When Anthony Townsend bursts into Lady Deerham’s fashionable Mayfair mansion demanding the return of his orphaned nephew, the lovely widow’s beauty and spirit turn his world upside down. But surely such a refined and aristocratic creature will scorn a rough, self-made man’s courtship, even if that man is now one of the richest magnates in England. Especially after he’s made such a woeful first impression by barging into her house and accusing her of conniving with the runaways. But when Fenella insists on sharing the desperate search for the boys, fate offers Anthony a chance to play the hero and change her mind about him. Will reluctant proximity convince Fenella that perhaps Mr. Townsend isn’t so beastly after all? Or now that their charges are safe, will Anthony and Fenella remain forever opposites fighting their attraction? 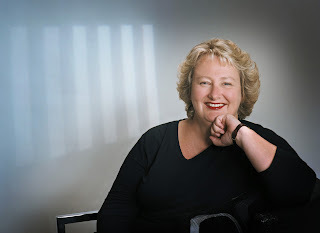 Have you read Anna Campbell's books? Do you have a favorite? One person who posts a comment before 11:00 PM, November 3, will receive a Kindle copy of The Laird's Willful Lass (book one in Campbell's new The Laird's Most Likely series) and the recently released The Laird's Christmas Kiss (The Lairds Most Likely - book two). I loved them both! Deck the halls with mistletoe! For years, shy wallflower Elspeth Douglas has pined for the attentions of dashing Brody Girvan, Laird of Invermackie. But the rakish Highlander doesn’t even know she’s alive. This Christmas, she realizes that she’ll never be happy until she stops loving her brother’s handsome friend. Except it turns out that Brody isn’t singing from the same Christmas carol sheet—Elspeth decides she’s not interested in him anymore, just as he decides he’s very interested indeed. With interfering friends and a crate of imported mistletoe thrown into the mix, the stage is set for a house party rife with secrets, clandestine kisses, misunderstandings, heartache, scandal, and love triumphant. I love Anna's books! Her Sons of Sin Series was a favorite. Seven Nights in a Rogue's Bed was so good!! 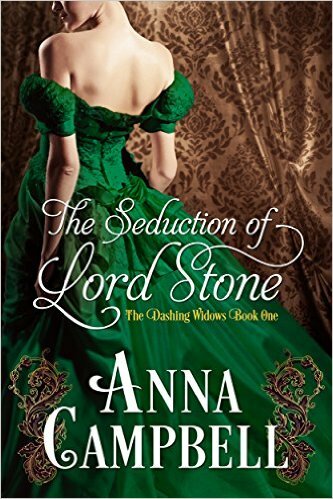 I have enjoyed reading many of her books especially The Seduction of Lord Stone. Thanks for the chance! Amy, it was such fun writing Silas's story! I still giggle when I read the theatre scene. PJ! Happy birthday to the Dish! This is such a shining light on the internet! And thank you for all the lovely support you give to writers. Wow, this post brought back memories. I still think Mr. T might be my fave in the whole series of 7 books. He was just such a charming bear of a man, I loved him! And so did Fenella - eventually! Thank you so much for doing the giveaway too. I'm tickled pink you're enjoying the new Scottish series. I adore Anna and her books. I would love to meet her one day. One of my favorite books of hers is an old one- "Untouched." (I believe Anna lovingly referred to it as "The Green Monster.") It packed a powerful punch. I have enjoyed many of Anna's Christmas novellas. She is able to convey a wonderful story even in a short format. Thank you, Cheryl! I still get mail about Untouched. People really took to that hero. Hope we get to meet one day! 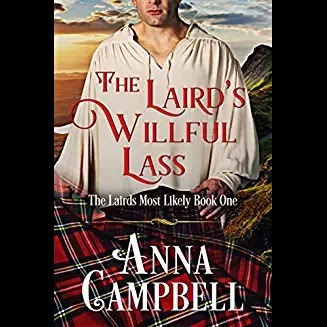 I have read some of Anna Campbell's books and though I don't have a favorite, I feel in good hands when I am needing to be swept away from my cares. Oh, that's a nice way to put it, Lil! Anna, thanks for stopping by to reply to everyone's comments. You're the best! Thank you for featuring me! What a lovely thing to do. And congratulations on your birthday! Have a lot of Anna’s books on my kindle. Tradition to buy her Christmas novellas as well. Going to reread tempting my Townsend right now! How lovely, Betsy! Hope you enjoy my Mr. T! I love Anna's books. And reading about handsome Highlanders is a great joy. I have to read The Laird's Christmas Kiss for sure. Thanks for those kind words, Carol. Mt Reckless Surrender is my favorite. Happy anniversary to the blog. Thank you! That one had such a lovely hero - I had a huge crush on him when I wrote it. Love Anna Campbell books. Happy anniversary. Happy birthday to the Romance Dish! Have been enjoying Anna Campbell's fabulous writing for years now! Thank you for continuing to bring her work to readers' attention! I'm not sure I have one favorite... so many stories to choose from now! Fedora, you've always been such a wonderful supporter. Thank you! Thanks, Denise. They're always such fun to write. All that Christmas cheer is perfect for romantic entanglements! I can't pick a favorite, I've enjoyed all of Anna's books that I've read.